This is probably my favorite fall outfit this year. The only things that were new was the vest and the boots (that I have posted about multiple times now, I just love them!). I hadn’t been able to find a vest I liked and I’ve been wanting one for awhile now. Finally I found one at Old Navy and got it half off for the Black Friday sale! It’s so cute, super warm, and isn’t that shiny material, instead it’s a woven material with a herringbone pattern. 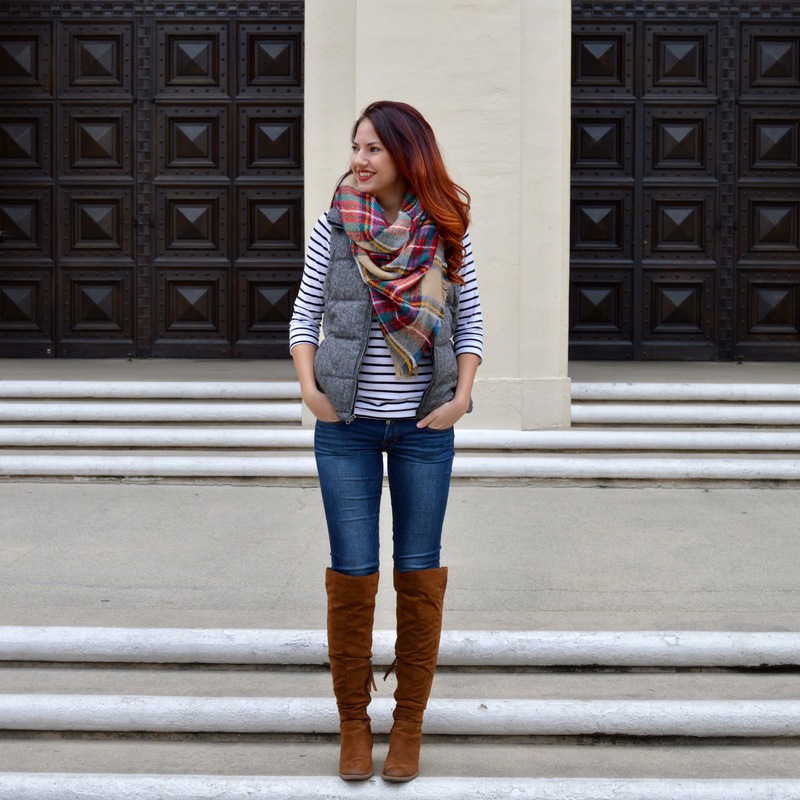 I have been really into pattern mixing and I think my favorite is stripes and plaid. 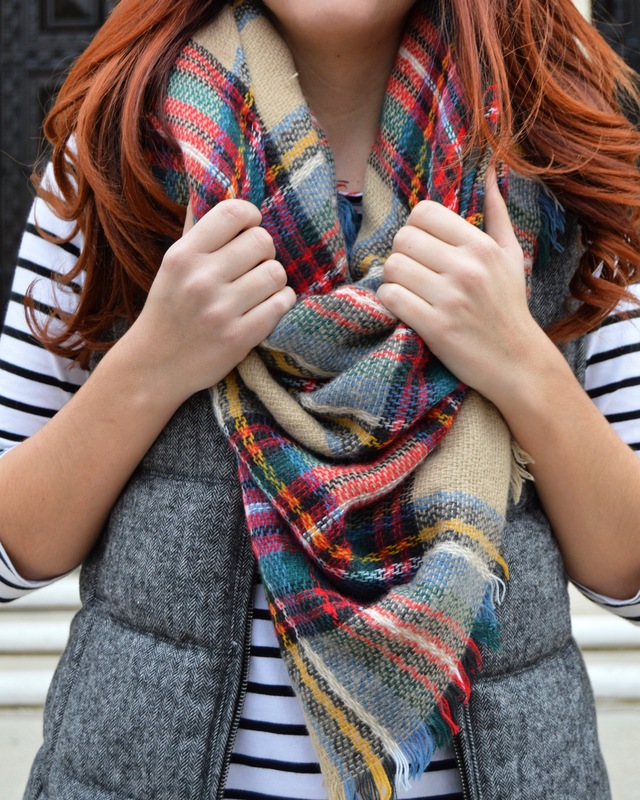 This plaid blanket scarf is seriously the best and is the best combo of colors. I got it last year on Amazon for like $12!